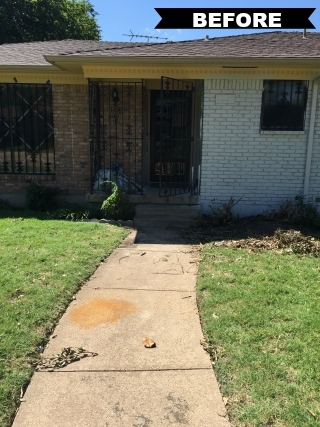 Casey Barton and Raymond E. Graham are real estate renaissance men, working their magic in East Dallas homes. 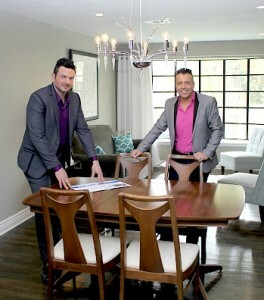 The pair have been renovating and selling houses together for eight years and own the company Barton-Graham Home & Design Firm. They’re both general contractors and interior decorators, and Graham is a Realtor who in the process of earning his broker’s license. They’re all set up to offer comprehensive services to clients. We’ve featured their phenomenal work here and here, and today’s Thursday Three Hundred is their newest renovation at 6229 N. Jim Miller Rd. This house is in Buckner Terrace, specifically in the Lakeland Hills neighborhood, near John West and Buckner Boulevard. It is 1,860 square feet with three bedrooms and two-and-a-half bathrooms (they added a sleek powder room). Now, about the neighborhood. If you’re not familiar with Buckner Terrace, you should be: the real estate there is hot: Realtor Vince Leibowitz with LTZ & Co. Real Estate identified it as one of the city’s top emerging areas last year. In part, it was for access to White Rock Lake, the Arboretum, and other East Dallas awesomeness. The neighborhood is full of pleasant one-story pier-and-beam houses built in the 1960s and 1970s. The lots tend to be bigger and price tags smaller than what you’d find in many other parts of East Dallas. Graham listed the house yesterday for $325,000. “We’re having an open house on Sunday from 2-4 p.m. and I hope we will be reviewing offers that evening,” said Graham. I think there’s a good chance they might see an offer before that, if past successes are an indication of their popularity with buyers. One of their Buckner Terrace renos went under contract in three days earlier this year! 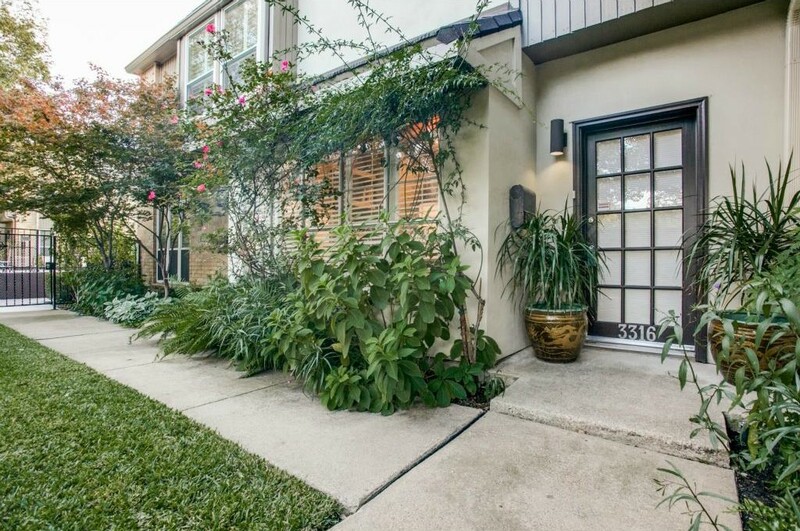 Why Has This Lovely Oak Lawn Townhome Been on the Market 160 Days? So when I spot an Oak Lawn townhome like the one at 3316 Hawthorne Ave. #3316, which has been on the market for 160 days, I have to scratch my head. 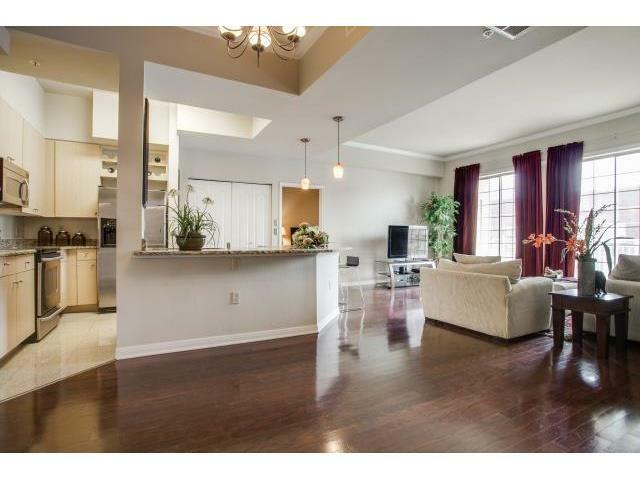 It looks magazine-worthy, has over 2,000 square feet, and is located in a highly desirable neighborhood. So what gives? This unit, in the Park Place Townhomes, is 2,025 square feet, with two bedrooms, two bathrooms, three stories, a custom kitchen, plaster walls, private courtyard, hardwood floors, a private elevator, and oh, so much more. It is listed by Chris Pyle at Dave Perry-Miller Real Estate for $394,900, or $194 per square foot. Looking at the neighborhood comparables, it’s on the high end—others sold for $131, $138, $167, and $184 per square foot. But another unit in the same Park Place Townhomes sold for a dollar more per square foot in December, and it has only 1,149 square feet. Could it be the school district? 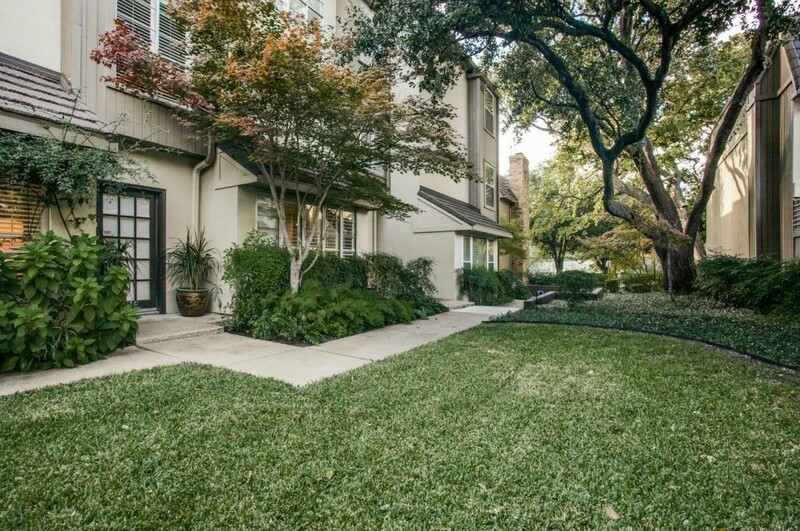 This townhome is located in DISD, and nearby comparable properties located in Highland Park ISD sold for $197 to $254 per square foot. But the unit that sold for a dollar more per square foot is also in DISD. So the jury is out on that factor. Mandatory monthly HOA fees of $1,117 are on the hefty side, and do not appear to include utilities, so that is a potential issue that might be dissuading buyers. But it’s not an unheard-of amount for this area. Let’s take a look inside and you tell us your opinion on today’s Thursday Three Hundred. When I was a kid, I really wanted a treehouse. I dreamed of a hidden place in the treetops where I could read books and draw, away from my worries. I badgered and begged to no avail, and to this day, treehouses are objects of fascination for me. Today’s Fort Worth Friday satisfies that part of me wants a grown-up treehouse. The house a 5320 Quail Run Street is located on a quiet cul-de-sac in west Fort Worth near River Crest Country Club. With two decks, high ceilings, and oversized windows looking onto nearly one acre of trees, bushes, and a creek, it feels like a secluded spot away from the busy world. This two-story beauty is certainly more sophisticated than any treehouse, however. 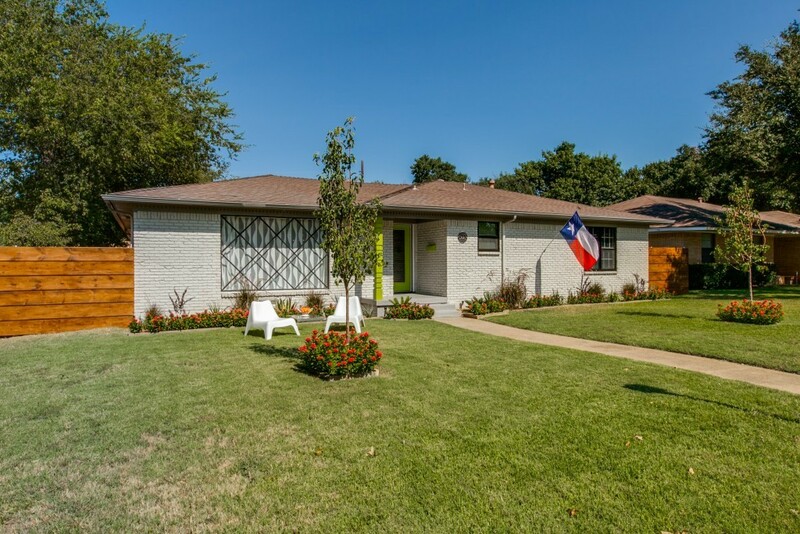 It was built in 1961 and has three bedrooms and 2.5 baths in 3,515 square feet. Stone and natural materials are incorporated into the contemporary design in a truly unusual way, and the lush landscaping and shady walkways make the property a haven. It is listed by Joan Trew at WilliamsTrew for $749,900. 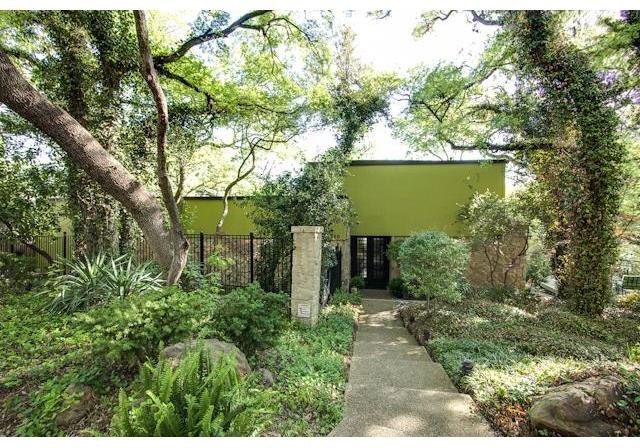 An address on Turtle Creek Boulevard has a certain cachet in Dallas, and often come at a hefty price tag, so an affordable listing always catches my eye. 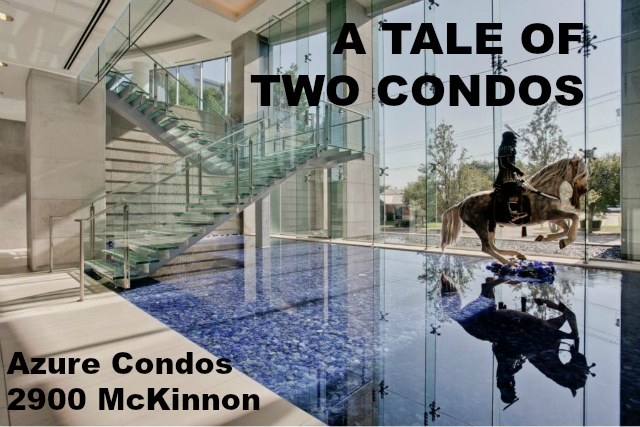 In today’s Tuesday Two Hundred, we’re looking at a high-rise condo at 3225 Turtle Creek Boulevard in the Renaissance on Turtle Creek. 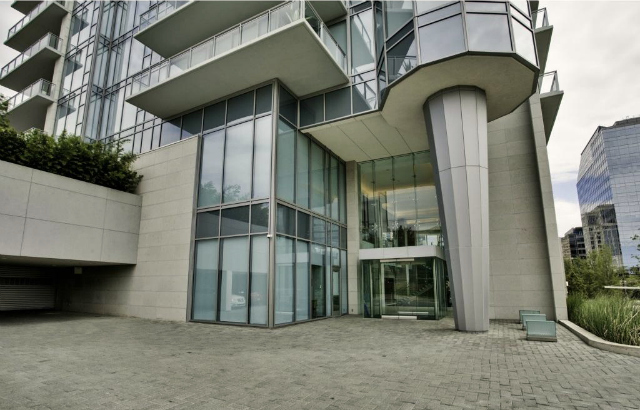 Unit 620B is priced at $259,000 with 1,154 square feet. It is a 2-2, located on the sixth floor of the south building, which has 16 floors. It is listed by Sue Krider at Allie Beth Allman & Associates. The Renaissance is located near the intersection of Cedar Springs Road and Turtle Creek, in close proximity to Downtown Dallas, Uptown, Oak Lawn, and the Park Cities. In addition to urban lifestyle options, the condo is also steps from Lee Park and one block from the Beasley entrance to the Katy Trail. The actual Turtle Creek has green spaces, parks, and walking paths, as well. Dallas Real Estate First: The Barrett Manse Will Feature an Orchestra Room that Seats One Hundred! My sources tell me the Barrett mansion is going to set a new standard for luxury in Dallas — make that Preston Hollow. I can hardly wait! That’s some lawn — over four acres! And I think a 25-foot long kitchen island would be divine — think of all he laundry you could fold on it, gifts to wrap. Oh, what’s that you say? There’s a laundry room the size of my house, and likely a wrapping room. OK.
Folks, this place tops the Lacerte/Warren house that is just a few blocks away. Remember that house closed June 16, 2009, one of Dallas‚Äô largest homes at 26,620 square feet that entertained scores of dignitaries and raised millions for Dallas charities. The seller‚Äôs agent was Ralph Randall of Dave Perry-Miller, an Ebby Halliday Company. The home is set on almost 9 acres of land in the honeypot of Old Preston Hollow, so a larger lot than Barrett’s. The estate was constructed circa 1991-1993 by a team including architect Cole Smith,¬† Smith/Ekblad & Associates, Sherry Hayslip-Smith, Hayslip Design Associates and Cole Smith, Jr., Crowbar Contractors.¬† It contains¬† a racquetball court, exercise room and locker rooms adjacent to a near Olympic-sized natatorium, bowling alley, wine cellar with tasting room, an Orangerie¬†conservatory overlooking interlocking Koi ponds loaded with about a million dollars worth of Koi, tennis court, baseball diamond and a private lake. So Ralph Randall now rules as the high priest of Dallas‚Äô most expensive real estate STILL. Agent to the John Muse family, he participated in the sale of the most expensive home in Highland Park when he helped John and Lyn acquire their lot at 4800 Preston Road. Skuttlebut: 5323 Park Lane was originally listed in 2008 before the crash for $45 million.¬† According to my sources,¬† it sold for under $30 million-ish, and the buyer, Kelcy Warren,¬† asked for an outside appraisal to be dead sure he got his money’s worth.¬† He also bought some properties behind the estate, which had been occupied by the Lacerte’s parents. The Lacerte-now-Warren home has entertained, among others,¬† Prince Edward, former President George W. and Laura Bush,¬† Senator Kay Bailey Hutchison, Jaap van Zweden, and Caroline Rose Hunt, among others, plus feted countless Dallas charity galas and pre-galas. It has everything BUT an Orchestra Room! That’s why I love writing about celebrity homes — there’s always a new gizmo right around the corner!